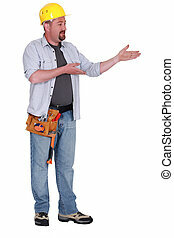 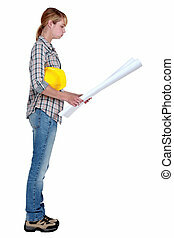 Female builder gesturing dont know. 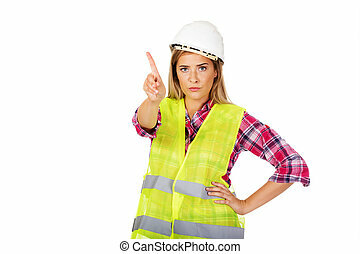 Female builder shows one finger. 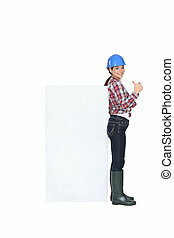 Female builder making do not know sign. 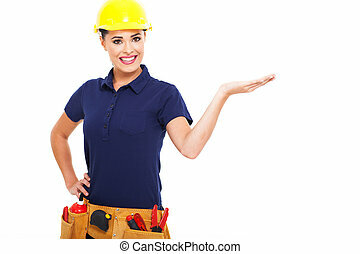 Female builder makind do not know sign. 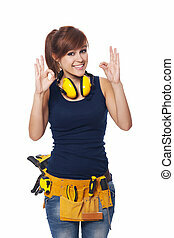 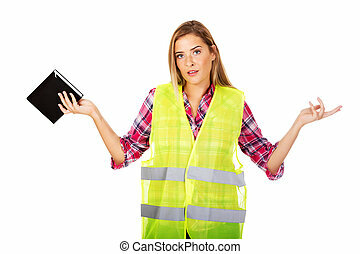 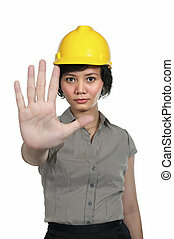 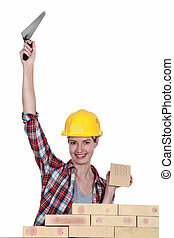 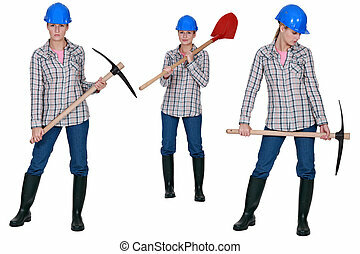 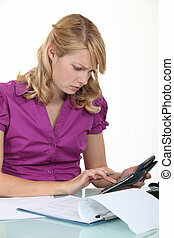 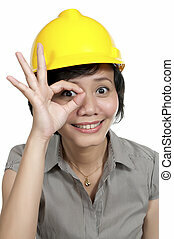 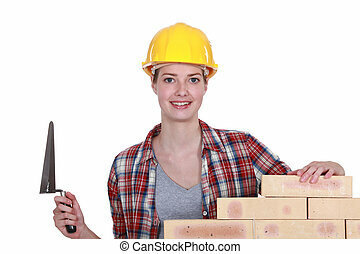 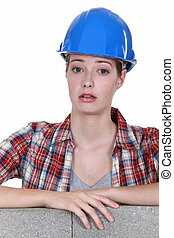 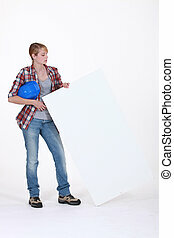 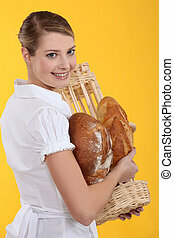 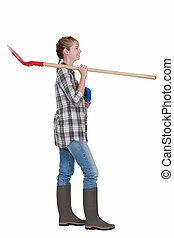 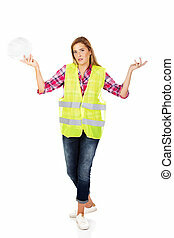 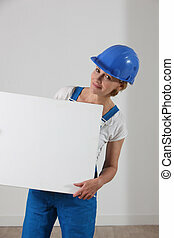 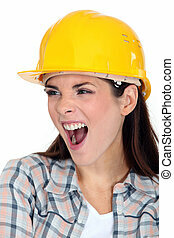 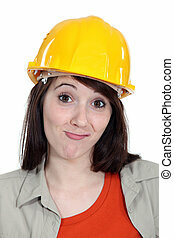 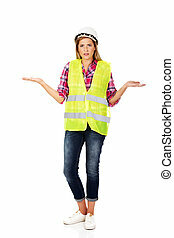 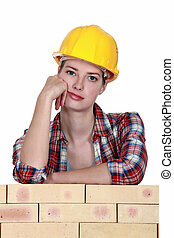 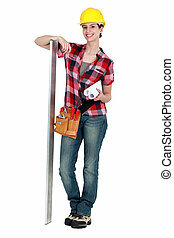 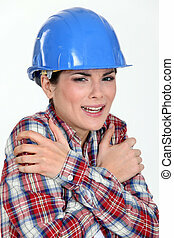 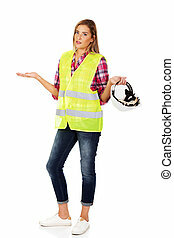 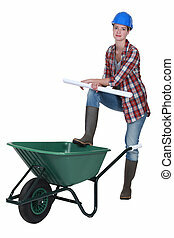 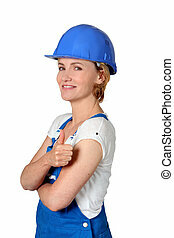 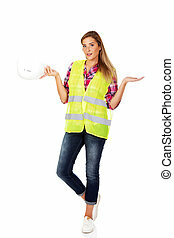 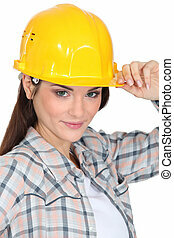 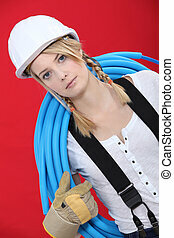 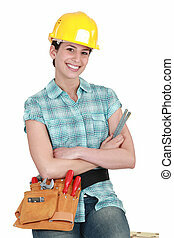 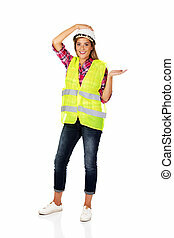 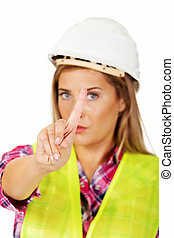 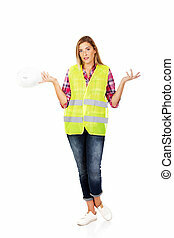 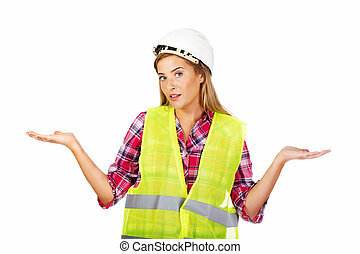 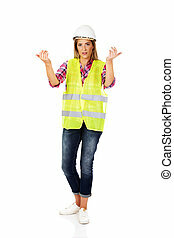 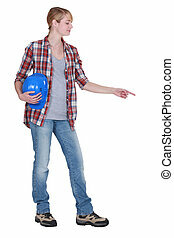 Female builder in a helmet and a vest with a notebook and gesturing dont know.